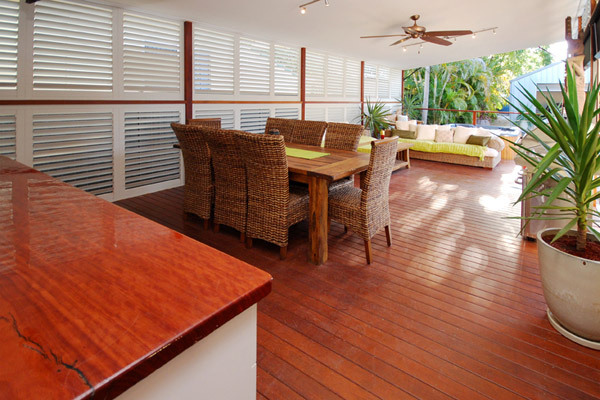 Exterior Aluminum Plantation Shutters allow you to reclaim your outdoor space. Expand living for all seasons by enclosing your patio area. Beautifully designed to enhance any exterior, Plantation Shutters combine strength and durability with style. They block sun, wind, & rain. The Shutters lock for security and are maintenance free. Make your next gathering a success with Aluminum Plantation Shutters.